Jay joined the Medical Negligence team in May 2013 and was promoted to Senior Associate in 2015. She has a wealth of experience across a range of injury types, with particular expertise in complex brain injury claims and cases involving ophthalmology, still births and amputation. Jay acts as a professional deputy for clients who lack capacity as a result of injuries following accidents or medical negligence. 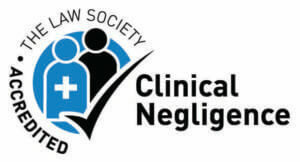 Jay is also a member of the Law Society Clinical Negligence Specialist Panel, the AvMA panel and APIL. 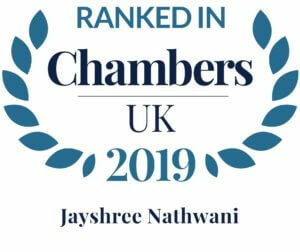 The “careful, patient + caring” Jayshree Nathwani continues to impress clients with her comprehensive clinical negligence practice. + What’s the difference between a Lasting Power of Attorney and Deputyship? + Landlord rights – what do you need to know? + Maternity leave: do you know what your employment rights are? © Copyright 2019 Barcan+Kirby LLP. All Rights Reserved. Barcan+Kirby is a trading name of Barcan+Kirby LLP, a limited liability partnership registered in England & Wales (registered number OC374955) which is authorised and regulated by the Solicitors Regulation Authority No. 568743. A list of names of our members is available at our registered office 111/117 Regent Street, Kingswood, Bristol BS15 8LJ. | Website by Rumba Design. A notice about cookies and your privacy: Read more.